Our goal is to provide well thought out and accurate stereo and home theater systems for those who share our love for music and movies. Modern technologies and controls added in harmony. In the 80's, John Maxson, an avid music entusiast and experienced audio equipment junkie, started to see the coming of home theater or surround sound. John was working for an upscale maker of audio equipment and wanted to be more involved with how the equipment was used in the home In 1989 ISD was formed. An installing audio company just starting to embrace audio/video as surround sound was becoming more popular. In 1994 the integration or `smart home' catagory was added to the ISD line up. John and ISD maintained a mindful eye on how to remain skilled at good reproduction of music, how to create audio/video systems that serve both an action film or a concert video while learning and mastering the nuances of control systems and `smart homes'. Today we at ISD still love the reproduction of content; music, movies and video. We still strive to deliver a bit more detail from both audio products and video products. We have never forgotten how different a clients experience is when he or she wants to share that experience. Additionally, we have become very adept at the integration side and `smart homes'. And yes the two can coexist. We are a local company that supports the local economy and our many industry friends and resources. Over the years ISD installations have been featured in Sunset Magazines `Great Room' issue, Audio/Video Interiors, Dealerscope Magazine, Pulse!, Electronic House, and the San Jose Mercury. Republic Elite Integration is a whole house automation company serving the Central California, Sacramento, and San Francisco Bay areas. Since our inception in 1988, we have built a reputation for friendly service, quality products, innovative solutions, and client satisfaction. We serve production and custom home builders, as well as property owners, with leading-edge solutions for various living environments. Paradyme is a home entertainment provider that prides itself on creating unique and tailored entertainment experiences for our customers and clients. Since 1976 we have served our clients as both a retailer and custom systems installer. Over the years, we have continually expanded product offerings and services as the home entertainment industry has changed. Paradyme has grown from stereo retailing to providing home theater, home automation, high performance audio, and lighting control. Home security and computer networking are also part of our wide range of installation and integration services. The level of performance we provide for our retail, homeowner, and builder partners has earned us a reputation second to none. Since 1979, Foothill Systems has provided the greater Sacramento area with outstanding customer service and support. As the area leader in installed Audio/Video and Automation systems, we provide our customers with complete system design, engineering, project management, installation, programming and support. 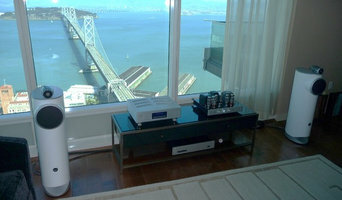 We are a family owned an operated Audio and Video Integration Company. Serving the Foothills for 21 years. Call us today for a demo in our private showroom. From its early origins building high end radios and later televisions, Barco became the world’s technology leader in ultra-high end professional visualization applications such as Digital Cinema, where today over 40% of the world’s cinema screens are equipped with Barco`s projectors. Celebrating Barco`s unique 80 years heritage, Barco Residential is a return to those origins bringing the very pinnacle of our imaging technologies to the high end home, creating unique experiences to share with your loved ones. Smart Home Automation is our passion. The systems we carefully design and install for our clients give us a profound sense of fulfillment. For us, they are works of art and expressions of the knowlege we have about how people want to live and interact with technology in their homes. We care about how our systems look, feel and function. We believe technology and smart home automation truly make peoples lives better. We strive to create an atmosphere for caring, motivated & intelligent people to work together in pursuit of our goal to be Northen California's finest Smart Home Integrator. Link Systems is an independent audio/video & automation company started in 2007. We design, install, and provide long-term support of your A/V & automation technology needs. We are experts at simplifying complicated technology and we've spent the past 7+ years refining our craft. We are made up of dedicated professionals with years of experience in the audio/video & automation industry and our growing long-term client list attests to our dedication in meeting our clients needs. We've been around the block, in fact we've been around most blocks in town Metcalf Electric has served Sacramento’s electrical needs since 1989. We truly care for our clients. Every detail of every job is carefully overseen. We never leave a job undone or untidy. Your satisfaction and your safety is our number one priority. A full spectrum of services available from repair to complete remodel. No job is too small. We specialize in old home wiring including knob and tube, lighting design, and main panel upgrades. 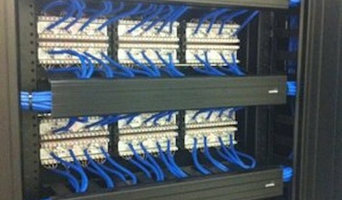 We also install and service, home theater, phone, cable, computer network and structured media systems, residential and commercial. Brightside is a team of engineers, programmers and installers. We specialize in bespoke luxury engineering in people’s homes, offices, planes and yachts. We design and build extraordinary entertainment systems for extraordinary people. We don’t do average. We’re not interested in ‘me-too’. Good enough … isn’t. We’re real engineers, not geeks with a hard hat. At the heart of the business is a core team of 10 Russian engineers who cut their teeth designing radar systems, missile guidance and nuclear submarines. We combine a passion for design, the precision of a rocket scientist and an utter dedication to quality and service. Based in California with a design workshop in Moscow, we have completed 60+ projects for clients around the world. we provide roku support and services to activate Roku.com/link account. we also help to activate Roku as well as Roku activation. Moreover,we also solve your all minor and major Roku device issues. We are an authorized vendor with professional technicians of the following home theater, audio systems, audio speakers, theater furniture, home theater projectors, whole house audio and home automation brands. Welcome to Defining Systems Inc. We are a specialized electrical company providing residential, commercial, and contractor services covering all aspects of the low voltage electrical trade. From design to system programming, we are a complete low-volt systems integrator. We take pride in our ability to exceed industry standards in bringing you the best modern technology has to offer. If you can dream it, it will be our challenge to make it happen. And if we're truly successful, we will not only meet your expectations but introduce new ideas that will positively compliment your project. Our goal is for the end product to be greater than you imagined. Let our experience and know-how be the vehicle that gets you where you want to be with your home and business projects. 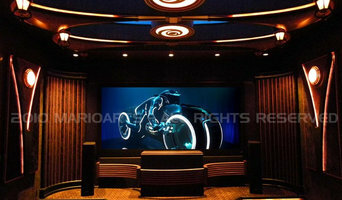 Your Sacramento home cinema could soon transform into a media room that fulfils many functions. Some elements - like hidden cabling, concealed televisions and speakers - can be expensive, while home theatre designers have other little tricks that are much more affordable. Invest your money wisely and you could have a cosy entertainment room in your Sacramento, CA home fit for a binge-sitting of Game of Thrones series as much as a perfect sporting finals experience. From seating and decor to your choice of amplifier, speakers and cables, any experienced home cinema specialist can help your dream home theatre take shape. Where is the optimal seating position? Will any old couch work as seating? What kind of lighting is best for movie marathons? Some of these California professionals work entirely on their own, while others work with subcontractors to get the job done. Here are some related professionals and vendors to complement the work of home automation & home media: Building Project Managers, Interior Designers & Decorators, Paint & Wall Covering Dealers, Furniture & Accessories, Specialty Contractors. Find a home theatre designer or home automation specialist on Houzz. 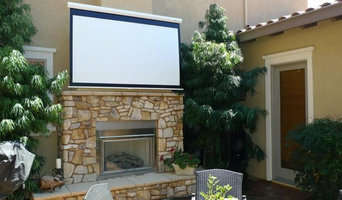 Narrow your search in the Professionals section of the website to Sacramento, CA home media designers. 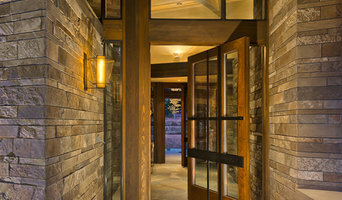 You can also look through Sacramento, CA photos by style to find a room you like, then contact the professional who designed it.